Rajasthan government has launched a new scheme for the economically weak students in the state. Through this scheme, the Rajasthan government will bear the cost of the education in coaching institutes for the meritorious students. The online applications for the same have been called. Let us know more about this interesting scheme. This scheme has been launched by the Social Justice and Management System department under the state. This scheme was first announced in 2016-17 and it has already started calling in applications from the students from February 2017 onwards. You can start applying from the official website – https://sjms.rajasthan.gov.in/sjms/Login.aspx . The state has already started calling the applicants. The government will soon start distributing the rewards as they call forth the eligible candidates. 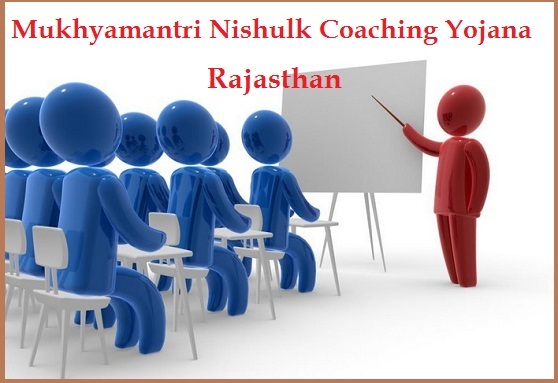 Free coaching: Rajasthan is known for its coaching centers in areas like Kota and Jaipur from where IIT, IIM and Law admission coaching is provided. The government will bear the cost of studying in these institutes. For whom? This scheme is mainly being provided for those who belong from the backward sections of the society or those who cannot afford quality education. Reservation for girls: In this scheme, 33% seats are reserved for girls. This means that 33% of the beneficiaries chosen to get the assistance will be girls. 500 students selected: 500 students will be selected from Jaipur and Kota each this means total 1000 students shall be selected for this scheme. Financial assistance: The aim of this scheme is to provide financial assistance to the promising students from the economically weaker sections of the society. 60,000 per student: This is why this scheme would provide Rs. 60,000 to the coaching institutes on behalf of the students. Each student would get this amount deposited as their coaching fee. Courses: The students can choose to take admission in a particular institute that teaches in a particular stream. There are several options available and all of them will be funded fully by the state. Under this scheme, courses which will help you take admissions in IIT, I IM, National Institution of Technology and National level medical colleges are all included. This means any coaching institute that coaches for the entrance to this institute are supported by this scheme. This means that you can take admission in all of these courses under any institute in Jaipur and Kota. You have to be a resident of Rajasthan to be eligible for this scheme. This scheme is only for the coaching institutes in Rajasthan and only for the permanent residents of the state. The student should also have passed their 10th and/or 12th This scheme is available only to those students who have passed classes before taking admission to the coaching institutes. The student also has to have their OBC or SC or ST certificate along with them. If they are from the general category they should have certificates mentioning the same. The applicant’s combined household income should not exceed Rs. 2.5 lakh per annum. This scheme is targeted exclusively towards the economically weak sections of the rural and urban areas. For OBC and General, the same percentage is 70% and 80% in 10th and medical entrance respectively. For students of all category, 60% marks is required for getting this benefit for the graduation based courses. Step 1: Go to this link https://sjms.rajasthan.gov.in/sjms/Login.aspx because this is the official link of the government for this scheme. From here you will have to register. Step 2: Enter all your details into the page that opens after that and register on this site. Remember the login and password. Once done, you have to go to the main page. Note: Make sure that you have entered all the details accurately because if any information is found false, your chance of getting the benefit shall diminish. After this step is over, your application process is completed. Now you have to simply wait for an official call or confirmation from the Rajasthan SJMS department. This is a very good step to bring forth the hidden talent from the villages and poorer sections of the state. It will encourage students to do better in their studies and will also bring forth many women from these sections because of the 33% reservation that is there for them.